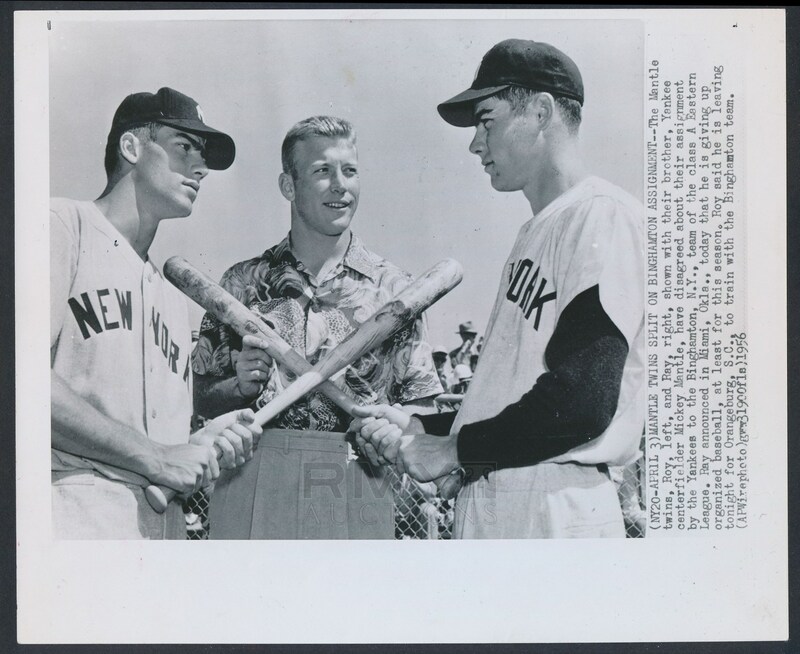 Large 1956 photograph of Mickey Mantle as he paid a trip to Binghamton to watch his twin brothers participate in a game. 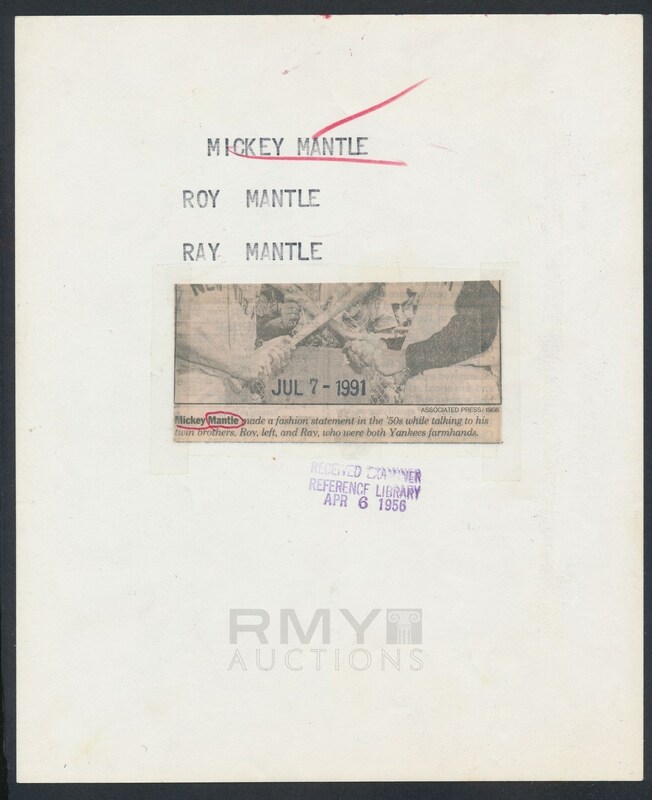 According to this image there was anger on the part of Mickey about the assignment of his brothers and Ray was giving up the game rather than report to the team while Roy was ok with the placement. An interesting photo of the three mantle brothers together!